Chalets at Big White manages a wide variety of ski-in, ski-out vacation rental accommodations throughout Big White Ski Resort. We are a growing company that strives to ensure our guests have a ‘Memorable Mountain Experience” with each and every stay. Imagine …., a winter vacation skiing or snowboarding legendary Okanagan Champagne Powder in open glades and massive bowls or cruising the long award-winning groomed runs at Big White Ski Resort. As evening comes alive, enjoy aprés-ski at one of the many restaurants or pubs. Go shopping, relax in your own private hot tub, sit in front of a cozy fire or just enjoy the view! At Chalets at Big White, our accommodations offer a unique home lodging experience, as diversified as the resort itself! We are a small business and pleasing our customers is what we are about! We want you to have a ‘Memorable Mountain Experience’ at Big White! Our well prepared Vacation rental properties at Big White Ski Resort feature aromatherapy bath products, upgraded linens, 24/7 on-mountain available help and private hot tubs! Whitetail Townhouse #25 is one of our 50 high end properties. Check it out for more information. At Chalets at Big White, we take pride in giving exceptional customer service, providing thorough cleaning of our properties and ensuring our guests – and staff - have a ‘Memorable Mountain Experience’ during their time at Big White. We have a variety of different positions for the upcoming 2018/2019 season and are looking for people who have a strong work ethic, take pride in a job well done, and enjoy a fast paced, fun team environment. We offer you competitive hourly salary and a cost-sharing program for a Big White Seasons Pass. To apply, please provide your resume to info@chaletsatbigwhite.com. We will accept resumes until October 1st 2018 but are currently recruiting to fill our positions before the end of the August. Positions we are currently hiring for include: Housekeeping, Laundry, Guest Experience Specialists, Maintenance and Hot Tub Technicians. Housekeeping Staff Working alongside a team, your responsibilities will be to: • Complete daily and deep cleaning of our properties to ensure all areas are thoroughly cleaned and to the Chalets at Big White standard • Ensure presentation of our properties are ready and welcoming for guest arrivals • Collect linen for laundering and property set up • Report repairs and maintenance issues Attention to detail is key to this position. Previous experience is an asset, but not required as we provide training. Housekeeping Lead Working alongside the housekeeping team, your responsibilities will be to: • Schedule daily cleans and plan the activities of housekeeping staff • Oversee the laundry room and laundry staff • Provide training and ongoing feedback to the housekeeping and laundry staff • Replenish supplies in the properties • Complete an inventory of the supply room on a weekly basis • Provide a thorough check of all properties to ensure the cleans are to the Chalets at Big White standard • Report repairs and maintenance issues to the Maintenance Lead • Participate in daily and deep cleans as required Previous housekeeping experience is required. Previous supervisory experience is an asset. Laundry Reporting to the Housekeeping Lead, your core responsibilities will be to: • Process laundry in a timely manner • Report damage to linen to Guest Services • Input laundry loads into weekly laundry spreadsheet • Keep laundry room organized Attention to detail is key to this position. Previous experience is an asset, but not required as we provide training. Hot Tub Technician Working alongside the maintenance team, your responsibilities will be to: • Perform regular water and chemical balance service, cleaning, and inspections as per schedule • Keep an updated list of hot tubs per property & hot tub vendor contact information • Troubleshoot, diagnose issues, and perform repairs • Source and replace required parts and equipment • Complete start-up and shut-downs of hot tubs Having a mechanical inclination and experience working with hot tubs is required. ALL POSITIONS FOR GUEST EXPERIENCE SPECIALIST, AND MAINTENANCE STAFF HAVE BEEN FILLED! Guest Experience Specialist. Reporting to the Guest Experience Lead, your responsibilities will be to: • Answer all incoming telephone calls and emails • Complete guest bookings in a timely, friendly, and professional manner • Take guest payments and send out confirmations • Be first point-of-contact for guest inquiries/questions before, during, and after bookings • Visit properties to provide ‘quality control’ checks to ensure accommodations are ready for guest arrivals and standards for cleaning, supplies and maintenance are met • Resolve potential issues after guest check-in • Assist Guest Experience Lead with other tasks as required Maintenance Reporting the Maintenance Lead, your responsibilities will be to: • Respond to and resolve maintenance issues raised via guests, housekeeping and/or guest services staff • Provide hands-on support for hot tub maintenance • Ensure Maintenance Work Orders are completed and reporting on completed maintenance is up-to-date • Thoroughly inspect each vacation rental accommodation to identify recommended maintenance to be completed during the off season • Provide regular snow-shovelling outside of properties Previous maintenance experience is required. Some important information to be aware of: • Before applying for a position with Chalets at Big White, please ensure you are legally entitled to work in Canada (i.e. have a valid Work Permit, have permanent residency, or be a Canadian citizen). • The average employee pays from $600 to $700 per month for shared accommodations. This ranges from several friends renting a house to studio and one-bedroom condos. To help you in your search you can check out the Big White Hostel; www.urbanretreathostel.ca or join The Official Big White Group on Facebook. • Big White’s 2018/2019 winter season is scheduled to open November 22nd, 2018. The opening date is dependent on snow fall and can start earlier or as late as December. Because of this, some time can pass between your successful job interview and your employment start date. To deal with this time you should come with sufficient money to carry you for at least one month. Do you own a vacation property at Big White Resort or in the Okanagan? We’re seeking property owners who’d like to earn additional income by providing families with an affordable yet beautiful vacation experience. Chalets at Big White offers exclusive boutique vacation rental management and marketing services, that provides you, the vacation home owner, with rental income and peace of mind. We can help you enjoy your dream getaway, worry and work free while equity is built for you and your family. Let us show you how an income can be generated to cover the expenses of your recreation property. At Chalets at Big White, our ultimate goal is to maximize the return on your investment in your recreation property. We believe this starts with focusing on the needs of our guests and vacation home owners while taking care of our vacation home owners properties as if they were our own. 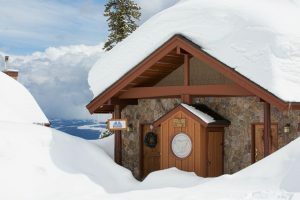 It is also our goal that each rental guest staying in a Chalet at Big White property has an exceptional and memorable experience that results in return rentals and positive word-of-mouth marketing to future guests – all so that you experience a steady stream of income from your property. Offer a comprehensive tourism marketing strategy tailored to the beautiful Okanagan and Boundary region of British Columbia. This includes search engine optimization (SEO), media based marketing, attending trade shows to maintaining vital industry relationships with provincial tourism departments, industry officials, the local Chambers of Commerce and working with our local Big White Tourism Society to promote the area, people and businesses. Becoming affiliated with our exclusive Chalets at Big White network can result in increased rental revenues. What makes our program exclusive? We do not accept simply any property into our rental network. Only select, well maintained properties that meet established standards will be accepted into the Chalets at Big White property network, for discerning rental clients who are looking for an exceptional, clean, rustic-yet-elegant property for their family vacations. We understand the dream of owning a vacation property. We also understand the desire to generate income from your property and the need to keep your property well maintained and managed.